Since 1998, the Northrop Grumman Mission Systems sector has provided hands-on vocational training to rising Maryland students through the Northrop Grumman High School Involvement Partnership (HIP) program. HIP gives students real-life experiences that help them transition into their desired industry after graduation. The HIP program matches Northrop Grumman employees with students based on similar career interests. Each mentee has two or more mentors, which allows students to benefit from different perspectives and apply those diverse skill sets to their work. Students spend four to eight hours a month developing their technical projects, with the potential to gain a competitive edge in the college application process. Some of these projects include a modified drone with a protective blade guard, a glove-controlled prosthetic hand, a 3D modelled design solution for combat boots, and a mechanically engineered defensive backpack. “The HIP program directly develops, shapes and supports our next generation of STEM working professionals,” said Kathleen Burns, director of program operations, HIP core team member, Northrop Grumman Mission Systems. After successful completion of the HIP program, Northrop Grumman rewards eligible mentees with multi-year partial scholarships to attend an accredited college or university. From the inception of the HIP program in Maryland, over 200 students have graduated from the program and later attended some of the nation’s most prestigious universities. Former HIP mentees have also returned to Northrop Grumman to work permanently. This past 2017-18 school year, 18 Baltimore City, six Annapolis, and six Sykesville-based high school students participated in the Maryland-based program. In the upcoming 2018-19 year, an additional 11 Baltimore City, three Annapolis, and three Sykesville-based mentees will join the current group. In addition to working on their technical projects, students are introduced to other aspects of the business world. Mentors go over lessons learned on achieving success and give career and academic advice that will better prepare them for the future. Students also go through various training sessions, such as resume development, interviewing techniques, college preparation, and presentation skills. 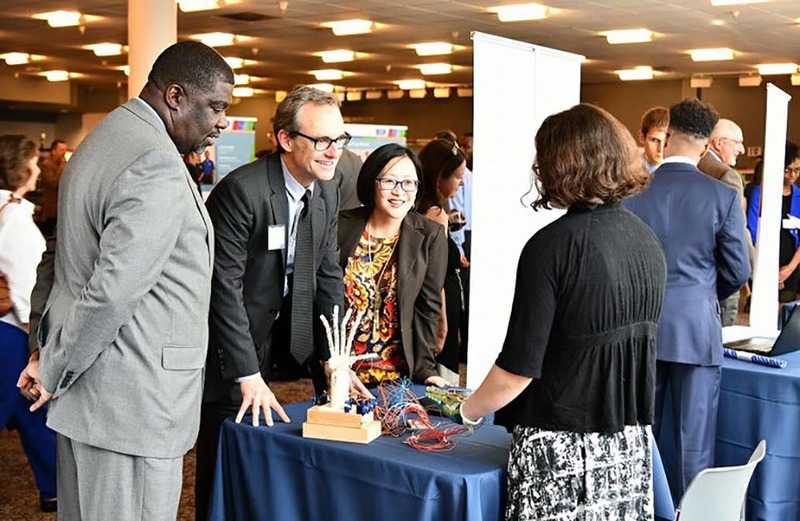 Northrop Grumman also partners with the Baltimore-based Johns Hopkins University Engineering Innovations Program to give graduating high school seniors a meaningful introduction to the aerospace and defense industry. The two organizations have created other joint programs that advance mentees’ leadership and technical skills. Northrop Grumman is a leading supporter of science, technology, engineering, and mathematics education. The company’s national HIP program aims to develop tomorrow’s technical and business leaders. Other Northrop Grumman HIP program campus locations include: Alabama, California, Colorado, Florida, Illinois, New York, Ohio, Utah, and Virginia. For your chance to make an impact on the lives of the next generation and become a Northrop Grumman mentor, search and apply for many exciting career opportunities with Northrop Grumman.